Jan here with the home decor project I promised. These would make fun and quick gifts for summer birthdays or even getting a head start on holiday gift giving. I've enjoyed working with the Pray stamp set from Latina Crafter. 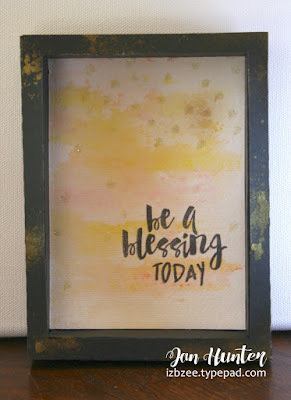 It's part of the Be a Blessing Collection and you won't be disappointed when you browse through the selection of sets on their website. This post is image heavy -- so please be aware of slightly longer loading times. Let's get started! Please remember that if you click on the photos, a larger image will be in a pop-up or will load on another page depending on your browser settings. 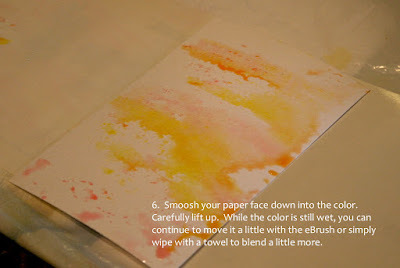 Step 1: color the craft mat using a space about the size of your watercolor paper. 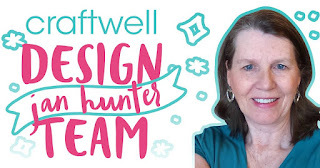 I chose to use a 4 x 6 inch as my design space. Step 2: Spritz water on the gelatos. 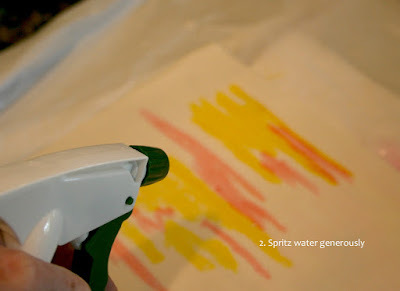 You could spray the water on with the eBrush using the siphon adapter if you'd like. I chose not to for this project -- and just use the air flow from the ebrush to move the color as you'll see in the following pictures. 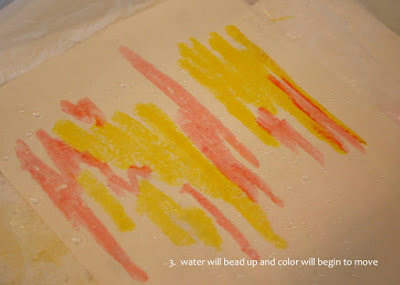 Step 3: You'll see the water bead up on your mat and the color will begin to dissolve and even spread a little. Have your eBrush ready! Step 4: I used medium speed to start moving the colors. 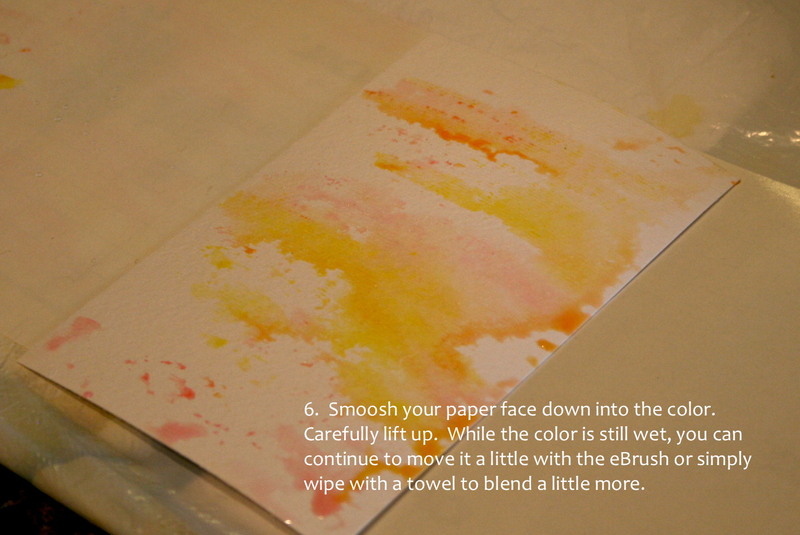 Step 6: Smoosh your watercolor paper face down into the wet color. Carefully lift up. 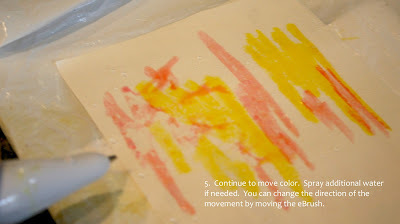 While the color is still wet, you can continue to move it a little with the eBrush or gently wipe with a towel to blend a little more if desired. For this project, I used watercolor paper. Glossy stock could also be used with a slightly different result. 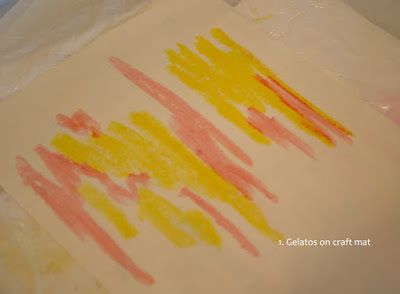 This image was made using direct to paper application of the gelatos, following the previous steps (without the craft mat). I wanted some more intense color. 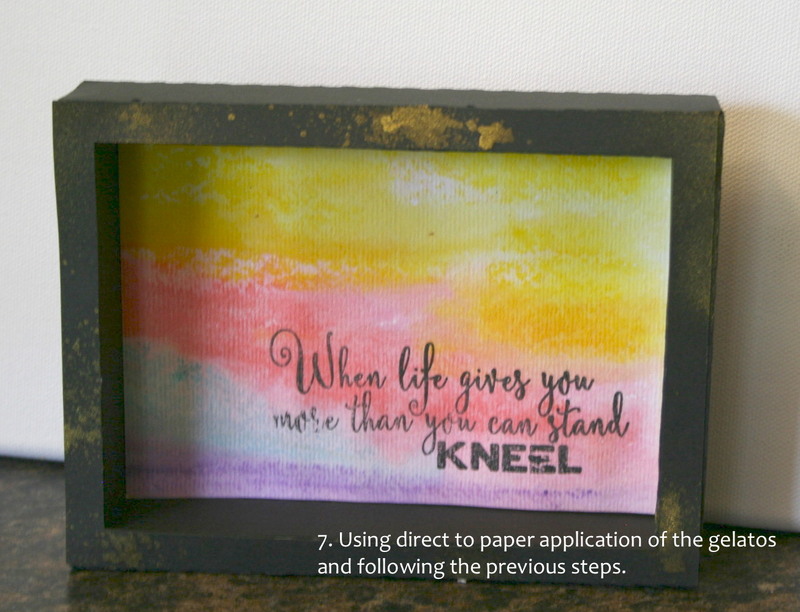 The watercolor paper provided a deeper intensity using the direct application method. The stamp is from the Be A Blessings Collection (image set here) Set. Each of the stamp images in this set would look wonderful on a one of a kind watercolor background as a framed home decor item. They're also perfect for scrapbook pages, cards and tags. I mounted my finished image in a 5x7 shadowbox frame resized for a 4x6 image (pattern from Lori Whitlock's shop) cut with the eclips2 and eCal2 software. 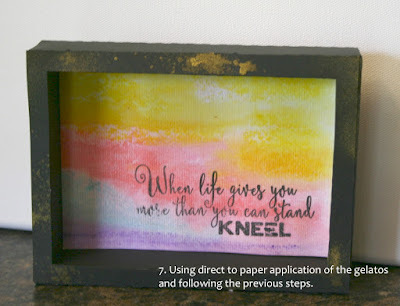 The gold spritz is from Fun Stampers Journey available here. Here's another look at the smooshed finished image. Thanks for stopping by! Hoping your crafting time is filled with joy and nourishes your soul! And I hope you'll stop by again soon.